King’s poacher’s finish equalised Peter Crouch’s early goal before he won the penalty from which Rudy Gestede scored his 14th of the campaign when he was pulled back by Cameron. The 23-year-old Norway international had caused the visitors problems with his blistering pace before the break but he enjoyed the extra space available against 10 men for 45 minutes and twice raced clear to score with virtually identical goals just 10 minutes into the second half. King, who attracted some interest from struggling Barclays Premier League clubs in the January transfer window, is out of contract in the summer and if this performance cannot persuade manager Gary Bowyer to offer him a new deal then it will certainly have made someone else’s mind up. He should have equalised midway through the half with only the goalkeeper to beat but his shot grazed the crossbar and he also guided a header wide before, after 36 minutes, he deflected Shane Duffy’s powerful header past Butland from close range. 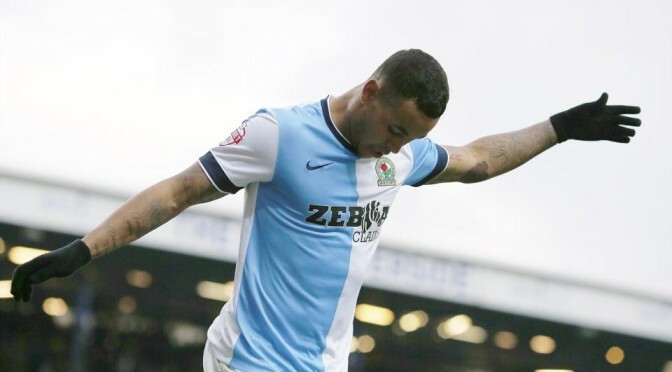 Rovers ensured there would be no turnaround of momentum in the second half as King – had scored five goals in his previous 68 appearances – twice raced through to slot the ball past Butland in carbon-copy goals within five minutes of each other.